Important: The federal public transit amount is being eliminated. For 2017, you can only claim the cost of your public transit passes for the period of January 1, 2017 to June 30, 2017. Your or your spouse’s children (if they are under the age of 19). Note: Single ride or trip passes aren’t eligible for this credit as they don’t allow unlimited travel. You'll need a copy of your pass, usage report, etc. to claim your public transit amount. 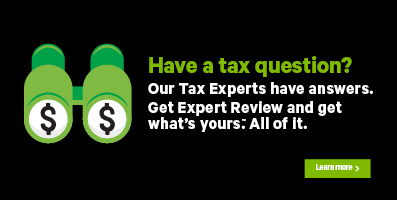 For a list of the supporting documents you'll need to claim this amount, visit the CRA website. Remember to keep these documents on file in case the CRA asks for them later. If you are a resident of Yukon and you meet the requirements listed above for the federal public transit amount, you can also claim your public transit pass as a provincial tax credit. New for 2017, Ontario seniors can claim the refundable Ontario seniors’ public transit tax credit for eligible transit expenses paid from July 1, 2017 to December 31, 2017. As an Ontario senior, you can claim the fare you paid on Ontario or municipally-operated public transit services, including Metrolinx. You can only claim your own public transit passes when claiming the Ontario Seniors’ Public Transit Tax Credit (you can't include the expenses you paid for your spouse or your dependants). Click here for more information on which services qualify for the tax credit. Note: H&R Block’s software will automatically claim your provincial public transit amount for you based on the information you enter on the Public transit passes page in the software. My employer paid for my public transit passes. Can I claim the public transit amount? No. If your employer reimbursed you for the cost of your public transit passes, you can’t claim this tax credit. However, if your employer paid for the cost of your transit passes through payroll deductions, this amount is reported in box 84 of your T4 slip and can be claimed on your return (only for the period of January 1, 2017 to June 30, 2017). Note: If your public transit expenses are reported in box 84 of your T4 slip, H&R Block’s tax software will automatically calculate your public transit credit based on the amounts of your T4 page in the software. Under the CREDITS section, select the checkbox for Public transit passes and click Continue. When you arrive at the Public transit passes page, enter your information into the tax software. Before you begin, make sure you’ve told us about your dependant(s) for whom you’ll be claiming the public transit amount. Under the EXPENSES section, select the checkbox labelled Public transit expenses, and click Continue. When you arrive at the page for Public transit expenses, enter your information into the tax software.